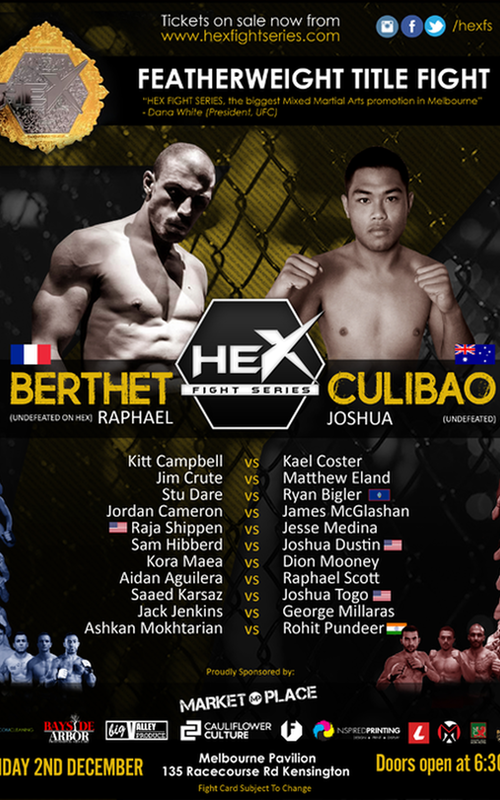 The December card's Main Event will see formerly of France now Melbourne based Raphael "The Zombie" Berthet (HEX: 5-0) face Australian Top Team's Joshua Culibao (3-0). 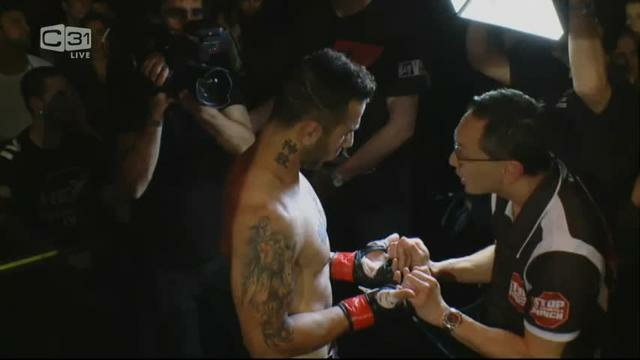 A veteran of HEX, Berthet earns his right at the title shot after dominating in all 5 bouts with the promotion. Culibao seems the unstoppable contender. He exploded onto the MMA circuit this year and has proven himself one of the top upcoming talents in this country. 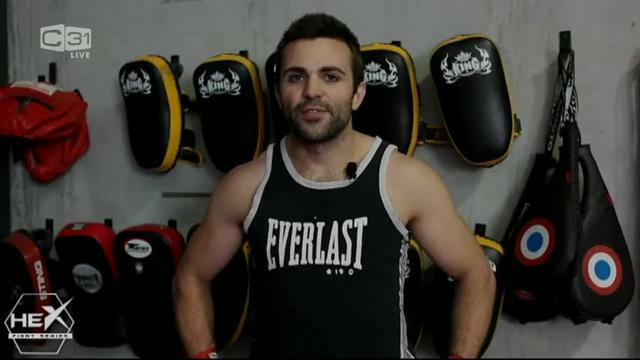 He is a multiple National Championship holder across MMA, Brazilian Jiu Jitsu and Pankration, including multiple appearances at the World Pankration Games as the Australian representative. The two fighters will battle it out for the HEX Featherweight Title, the perfect end to blockbuster card that will be broadcast globally. The co-main event Crute v Eland has the makings of a war. 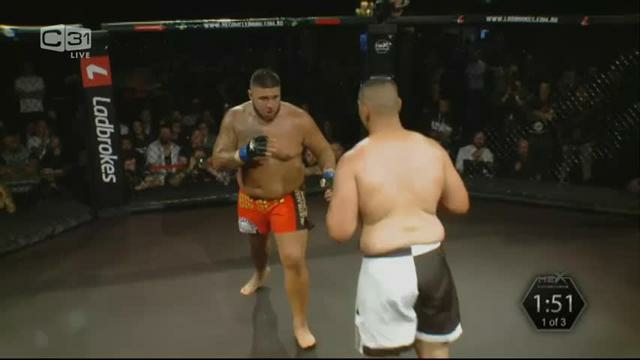 Two of the big men of Australian MMA will meet in the HEX cage. Both extremely dangerous, explosive and with both, extremely heavy hitters, this promises to deliver fireworks! Jim Crute who is undefeated has fought all his professional bouts on HEX. Having fought and destroyed highly accomplished fighters in their prime, Crute is one of the most feared fighters in Australia and is the protégé of world champion Sam Greco, He has all the makings of Australias first World Champion. 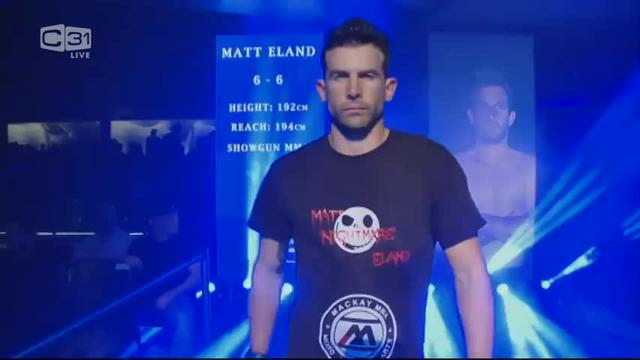 In his biggest test he will take on an opponent in Eland who extremly tough, his work rate and constant pressure has cracked the amour of some of Australias best and it will be at this moment he will look to exploit the inexperience of Crute. 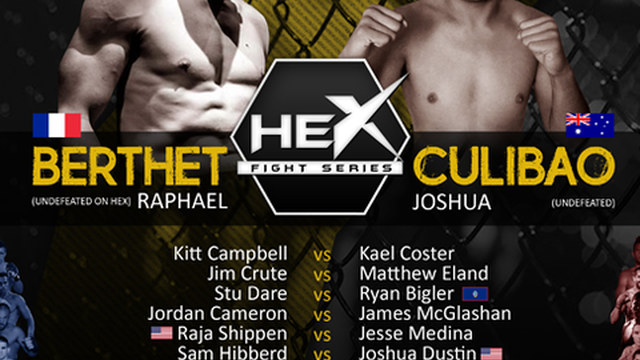 Also featuring a stacked card, Australia's biggest MMA show HEX FIGHT SERIES is the pioneer of MMA in Australia. Going where no show has before it, HEX was the first to utilize the cage in Victoria and are on the way to becoming a household name through its broadcast deal which will see Hex 7 being televised live to millions of homes around Australia via free-toair and Foxtel for the first time.